Chinese New Year is just a week away, have you planned your wardrobe for the festive occasion yet? One of the most popular outfits for ladies during Chinese New Year is the cheongsam, or qipao, which is a classic slim-fitting one-piece dress for women created in Shanghai in the 1920s. The earliest version of the qipao during the Qing Dynasty, was made loose fitting and showcased only the hands, feet, neck and head of the person wearing it, indicative of the more conservative views of the time. The qipao that we know of today was made modern and chic by the socialites and upper class women in 1920s Shanghai as they adopted a tight-fitting and body-hugging version of the original. Because of its significance as a classical Chinese garment, the qipao is now commonly worn during Chinese New Year in a myriad of stunning colours and delicately crafted from the finest materials. Here is a list of the most gorgeous hairstyles that go perfectly with the exquisite cheongsam to complete a classy and sophisticated look. If you have hair that extends beyond the shoulders but would like an elegant and clean look to go with your cheongsam, the low bun is definitely the way to go. A low bun gives off the impression that this beautiful look was created with minimal fuss and is effective in highlighting the neckline and detailing of the garment. Accentuate a low bun with some hair accessories and a pair of striking earrings. Opt for a romantic look with this simple hairstyle. Keep it loose with naturally wavy locks or crimp slightly if you have straight hair. Sweep it all to one side and put on a pair of pearl or diamond earrings and a brush of bright red lipstick to complete the look – simply gorgeous! 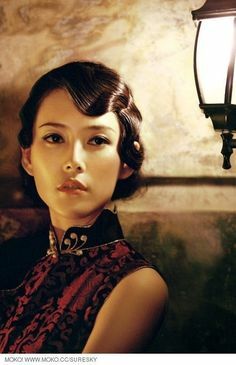 This is by far the most traditional and classic hairstyle to match a cheongsam. 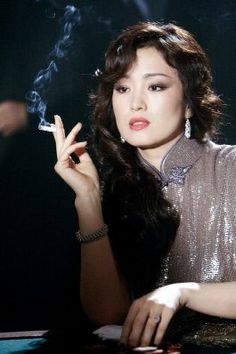 Many television shows and movies set during the time when cheongsams were in style feature actresses in this hairstyle. If you have hair that is just above the shoulders, then this is the perfect look for you. Style your locks in corrugated waves and slicked with some styling oil for a classic and traditional look. Your bangs should be an inch above the eyebrows to showcase your features and short hairstyle completely highlights the neckline and the styling on the cheongsam. Channel a Shanghainese socialite circa 1920 with a delicate cheongsam, stunning hairstyle, bright red lipstick and striking earrings! Whether it is a long cheongsam or knee-length cheongsam that you have prepared this Chinese New Year, you will definitely be the belle of the ball at every gathering with any of these gorgeous hairstyles that are perfect with the traditional cheongsam. Save yourself a trip to the hair salon by having the hairstylist come right to your home! We can arrange that for you at any time, simply head over here to drop us your enquiry.